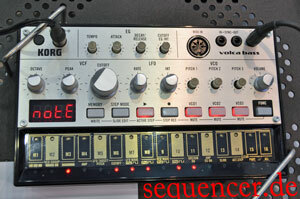 seqSQUARED is a programmable voltage controlled switch used to generate complex patterns with multiple analog step sequencers. It is designed to be used in a modular synthesizer and will be available in Eurorack kit and assembled form, as well as many other DIY formats. btw: I have started to set the tags as they are – not just the Synth-Category, so from now on you will be able to really find things, the first posts were made as a replacement for the old HTML pages – and they are still there for „history reasons“, but in fact no longer needed.